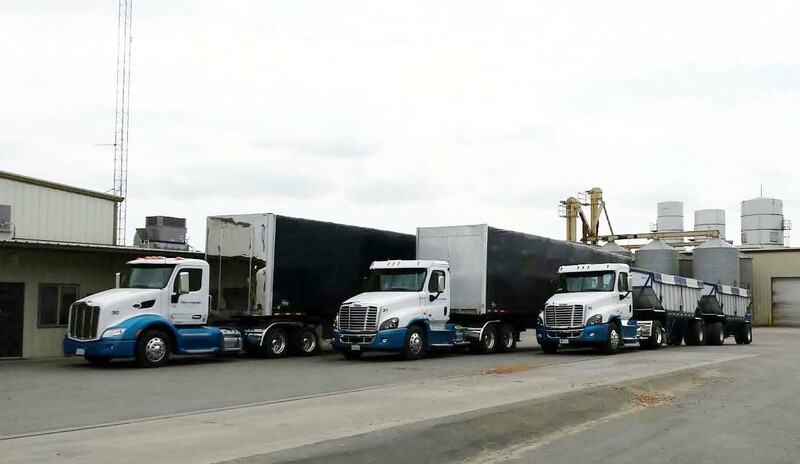 HOUSTON (August 7, 2018) – Pohl & Holmes, Inc., a Hughson, CA based almond hulling and shelling services provider, recently switched their vehicles to running exclusively on Neste MY Renewable Diesel™. Pohl & Holmes provides California almond growers with quality hulling and shelling services, providing both in-shell and shelled almond processing. Their advanced technologies allow them to process up to 25 million pounds of finished product every year. Owner David Pohl credits Neste MY Renewable Diesel with greatly improving the performance of their fleet’s 36 trucks. “After one year on Neste MY, we have seen an overall cost-savings on fuel and maintenance,” he said. Neste MY Renewable Diesel is a low-carbon fuel produced from 100% renewable and sustainable raw materials. This premium diesel cuts greenhouse gas emissions by up to 80% and enables reductions in engine-out emissions, all while enhancing fleet performance. Unlike biodiesel, Neste MY Renewable Diesel is a drop-in fuel that requires no blending and is compatible with all diesel engines. Unlike petroleum diesel and biodiesel, renewable diesel contains none of the impurities and aromatics that can clog particulate filters, contaminate oil, and foul fuel injectors. This clean, highly-efficient burn can help fleets cut downtime and budget allocated to Diesel Particulate Filters (DPF) regenerations, replacing fouled fuel injector parts and other maintenance-related issues. Switching to Neste MY Renewable Diesel is not the only way Pohl & Holmes are showing their dedication to sustainability. They have enacted various no-waste practices by donating the rocks they pick up during the hulling process to the rock quarry for roads; donating sticks and dirt to local co-generation plants; shells from the almonds are sold to farmers for bedding for calves, and shells and hulls are sold to farmers for dairy cow feed. They have also installed a solar electric system to power their facility in Hughson, California. Van De Pol Petroleum, headquartered in Stockton, CA, is the exclusive distributor of Neste MY Renewable Diesel to Pohl & Holmes, Inc. Using exclusive distributors ensures supply chain integrity and guarantees its high quality.